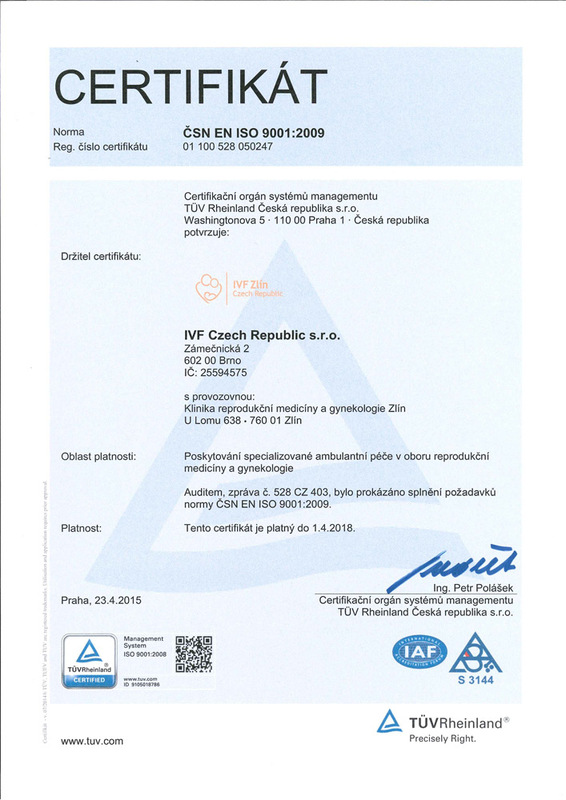 Quality and certificates - The Clinic of Reproductive Medicine - IVF Czech Republic s.r.o. Since the start of its operating The clinic puts emphasis on quality of provided service and its constant improvement. 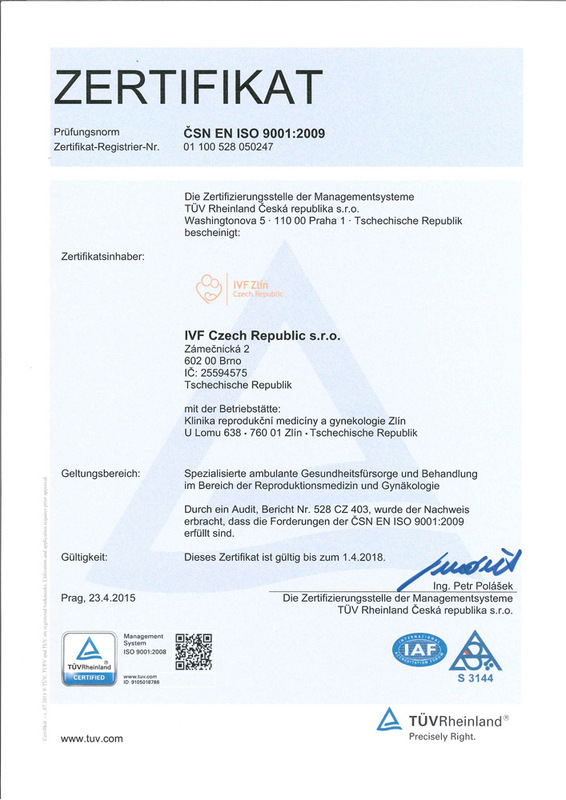 Since 2003 has The company a well established system of a quality management according to norm CSN EN ISO 9001:2008 which is yearly audited by company TÜVRheinland. Due to this management the company is committed to an constant improvement of quality. 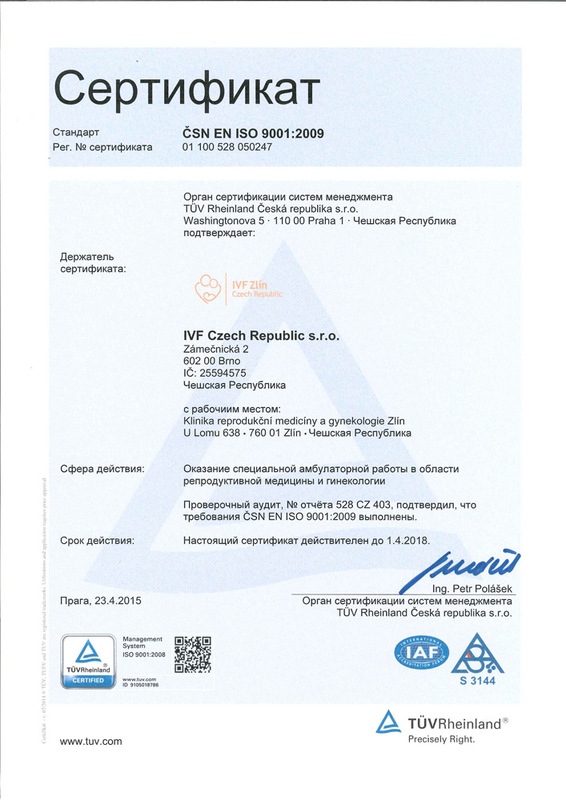 Czech Institute for Accreditation 04/29/2012 had issued a certificate of accreditation based on assessment of compliance accreditation requirements of ISO: 2007 and after finding that the medical laboratory is qualified for objective and independent activities in the scope of accreditation, ie examination of andrology laboratory for in-vitro fertilization. 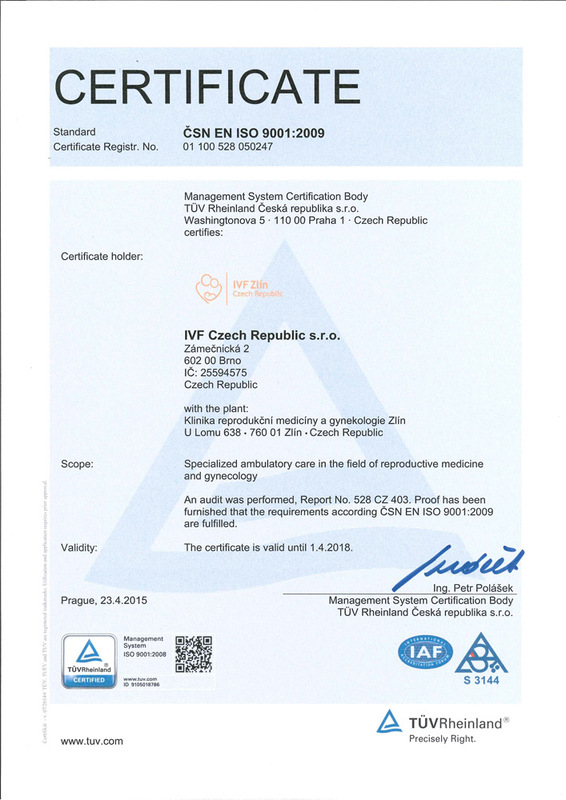 The clinic follows the EU Directive 2010/32/EU (the Framework Agreement on prevention from sharp injuries in the hospital and healthcare sector) and uses the evacuated blood collection system BD Vacutainer® (Becton, Dickinson and Company) for a blood collection. System BD Vacutainer® helps to protect a patient, healthcare workers and environment from a blood contamination, it also reduces the number of samples that need to be re-drawn due to incorrect blood draw procedure and therefore minimises pre-analytical laboratory errors. It allows a multi-sample draw for various tests without the need to repeat sticks. We are committed to provide a safe blood collection for both, our patients and our healthcare staff and to ensure a safe work environment.